We were initially contacted by a parent at the beginning of August 2011. She reported that her daughter had been hit in 2010 and that the school had refused to do anything about it. She also stated that her daughter had reported “many beatings” over a four year period. However it was an incident on the 13th July 2011 that prompted her to contact us. On the 13th July at a little after 14.00 she had personally witnessed the beating of a small boy in classroom P2/3 ESC. The boy was made to stand while he was repeatedly on the legs by a wooden stick. The parent rushed to her car to retrieve her cell phone to video the incident. However, when she returned the boy was sat at his desk crying and the teacher concerned had gone to the bathroom – she presumes to calm down. On her return the teacher smiled at the parent but said nothing. The teacher concerned was named as Ajarn Koy. We initially contacted the school on August 3rd with the details and asked for a response. They sent a reply simply acknowledging our contact but made no comments. They stated that the school director would not respond but that the schools manager would do so. The parent then sent us another email stating that her daughter had been at the school for a total of 4 years and had 4 different home room teachers. She said clearly that ALL 4 homeroom teachers regularly hit children with sticks (although only one had previously hit her own daughter). Many parents had complained but the school simply refused to respond. The school manager finally contacted us on the 8th August, 5 days after our initial contact. The managers name is Khun Permkiat Ketkul. At this point we were contacted by another teacher from the school who gave us the name of another teacher, Ajarn Joy, who was hitting children regularly in the English programme at the school. The manager then accepted the report and said the school was holding a disciplinary hearing against Ajarn Koy to be held on Tuesday 16th August 2011. he again stated that it was strictly against school policy and any teacher who hit a child would be disciplined although he stopped short of saying they would be dismissed). We pointed out to him that it was one thing to have rules but another to action them. We also told him the director had received numerous complains over the years but had never responded top them. He replied again, stating that he personally was very serious about teachers hitting children but made it clear this was his personal view. On Wednesday 17th August 201 we contacted Khun Permkiat again to ask the results of the said hearing. He replied that it was a confidential matter and he could not tell us the results. We understand some logic to this. He did however say that if any concerned parent contacted him he would tel them the results! The parent who complained initially then contacted him (along with one other set of parents) but he refused to tel them the results. We then contacted some of the teachers at the school. Two Filipina teachers and one western teacher told us that it was common practice at the school to beat children. The Filipina teachers also told us they had never been told by managers it was against the law. The western teacher stated in writing that she had personally seen it happen but only by Thai teachers. This teacher also repeated the name Ajarn Joy (in the English programme) although she DID say that in her case the school HAD told her to stop. She said it was still common in the Thai programme however. That leads us to believe the school seem to take things a little more seriously in the English Programme, possibly for fear of upsetting parents who are paying higher fees. One teacher then told us that NO action against the first teacher, Ajarn Koy, who was still working at the school. The school have since steadfastly refused to divulge the results of the disciplinary hearing, despite their promises to do so. In the meantime we were contacted by yet another set of parents who gave us the name of a western teacher who was hitting boys (only we believe). His name has now been passed to Immigration Authorities. Despite their pleas of sincerity and their claims that teachers do not hit children we have reason to believe it is still common practice, especially in the Thai programme. We also remain convinced that the disciplinary hearing was a sham, that it probably never took place and that certainly no viable action was taken against Ajarn Koy. We have since contacted Khun Permkiat and the school director on several occasions and they have not replied. It is our opinion that this school has a culture of abuse by teachers and that the administration simply turns a blind eye. If you are a parent, teacher, student or former student at this school and can provide any further evidence please contact us as a matter of some urgency. 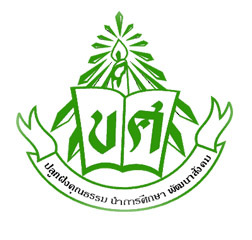 Posted on November 22, 2011, in Kajonkietsuksa School Phuket and tagged Ajarn Koy, Kajonkietsuksa, Kajonkietsuksa School, Kajonkietsuksa School Phuket, Permkiat Ketkul. Bookmark the permalink. 2 Comments. Unfortunately we are getting more reports today from this school. Their lack of action should serve as a warning to any parents considering sending a child here.